Not all of us are fortunate enough to own brand-new vehicles with Tire Pressure Monitoring Systems (TPMSes) built into them. TPMSes come in handy, as they prevent you from getting a flat or blowing out a tire while driving. The system detects high/low pressure and temperature and signals the driver when psi or temperature are too high/low. This can save you money on repairs and towing, so it’s a smart idea to get one installed, especially if you do a lot of driving. The Rritzan Tire Pressure Monitoring System (TPMS) is a system that monitors the tire pressure in each of a vehicle’s four tires. It can be charged through the cigarette lighter in the vehicle. When the TPMS detects air leakage in a tire, it will issue a voice alert to the driver, indicating which tire is experiencing the air leakage. Additionally, the TPMS also measures the temperature in each tire. 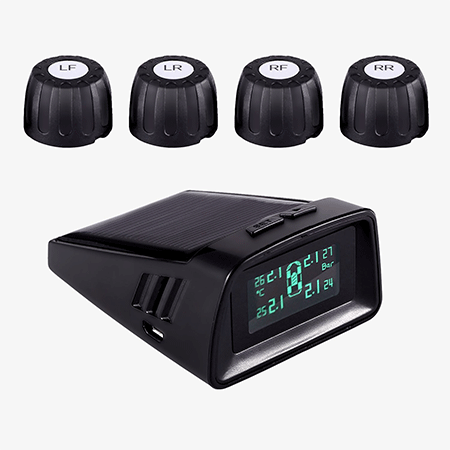 This TPMS is small in size, has an anti-theft design, and displays data for all tires simultaneously. The monitor will go into sleep mode when it detects that the vehicle hasn’t been in motion for five minutes. 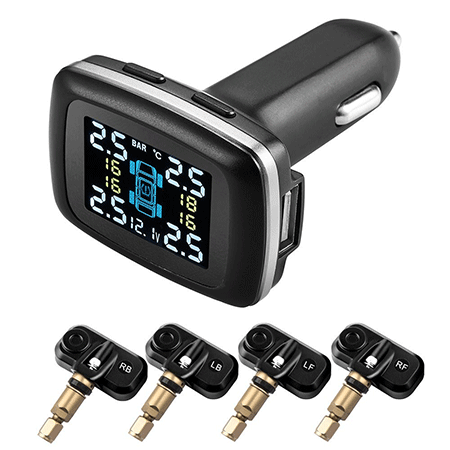 This innovative and easy-to-use TPMS comes with a lifetime warranty, and the monitor can be mounted either on the vehicle’s window or dash. 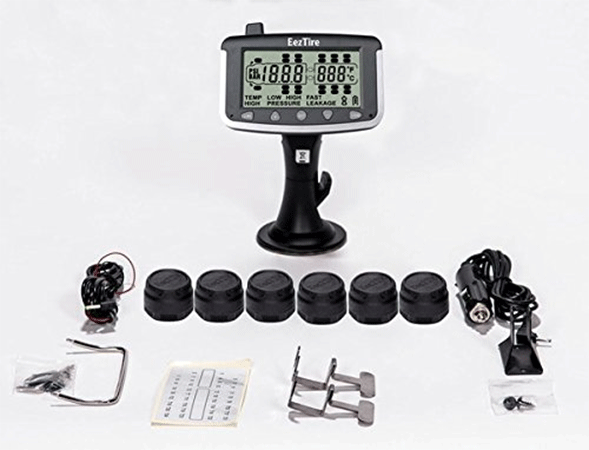 The TireTracker TT-500 features a detachable 12-volt micro USB cord, 10 wireless tire pressure monitoring sensors with replaceable batteries, a programmable monitor, a pedestal mounting bracket kit, 10 sensor locks, and a user manual. 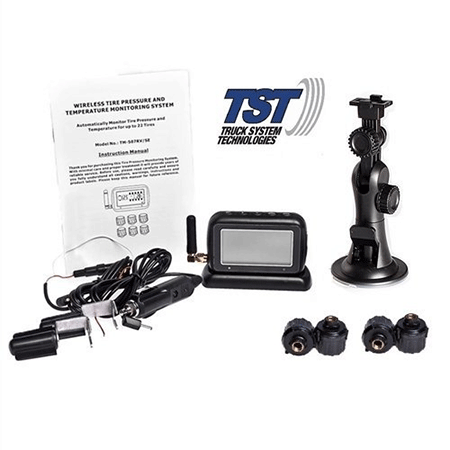 The TST 507 Tire Pressure Monitoring System is specifically designed for use in RVs and larger trucks driving for the trucking industry. The TST 507 has a 30-second data refresh rate, which provides current tire pressure information to the driver. The unit takes a CR1632 battery, which is known to be long-lasting. 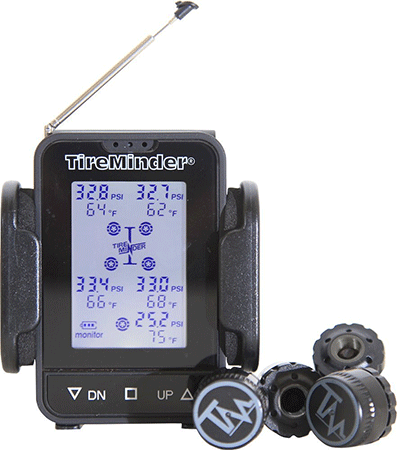 The Tire Minder TM55c-A TPMS provides real-time temperature and pressure (up to 80psi) measurements simultaneously for each tire, for up to five tires. Readings show up crystal-clear in each corner of the monitor. The system’s lightweight transmitters are designed specifically for aluminum valve stems. The unit itself is incredibly small, weighing only 5 ounces. It is powered by 4 Lithium Metal batteries. VICTONY’s TPMS is a high-quality, high-tech system that utilizes chips made by Germany’s Infenion technologies, which provide real-time monitoring. This system offers a high level of protection and can be used on all everyday driver vehicle models (including minivans and SUVs). 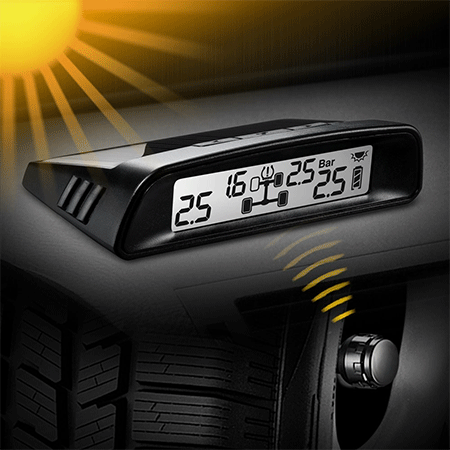 The VICTONY features an OLED display that shows all tires’ pressure levels on the monitor. The system also comes with 4 sensors that detect high/low temperature, high/low pressure, and air leakages. 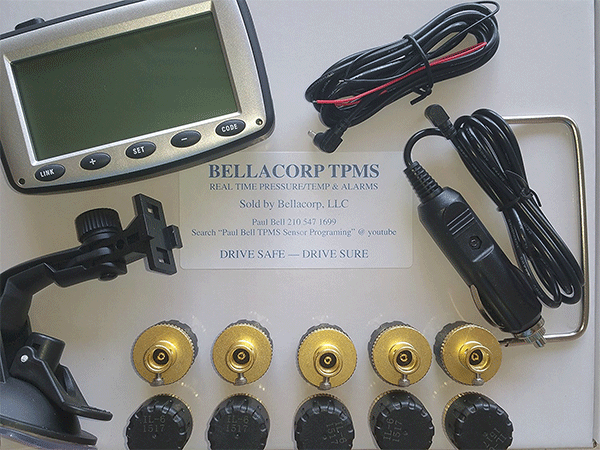 Bellacorp’s EK215T10 TPMS has the ability to monitor up to 22 tires (as well as suspension air bags) at once. The monitor will stop monitoring a trailer as soon as the trailer is detached. Monitors sound alarms for low/high pressure between 15psi to 175psi and for high temperatures. Anti-theft caps are included and won’t leak air. Sensors are waterproof in up to 3 feet of water. This TPMS can help you save up to 5% on fuel costs if you keep enough pressure in your tires. EEXTire’s 6-sensor TPMS has a large LCD screen that is backlit to show readings while driving in the dark. This system monitors up to 22 tires. There is a long range between the monitor and sensors, and it monitors up to 210psi. The system sequentially cycles through each tire and has an update rate of every 5 minutes. 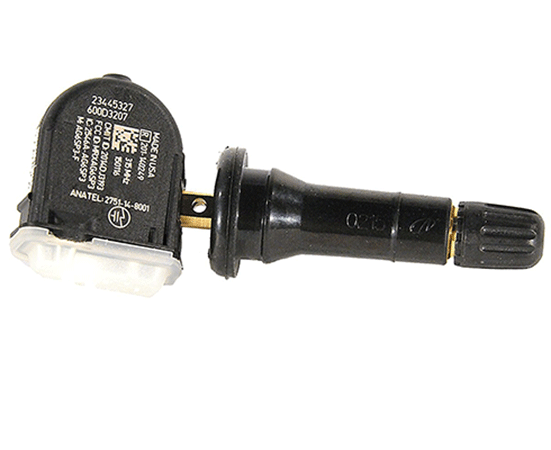 Those who prefer low-tech tire pressure monitors will appreciate the simple yet responsive nature of the ACDelco 23445327. It should work with many GM vehicles since it is an OEM GM part. This small TMPS weighs 1 ounce. Batteries come with it and are designed to last 10 years. 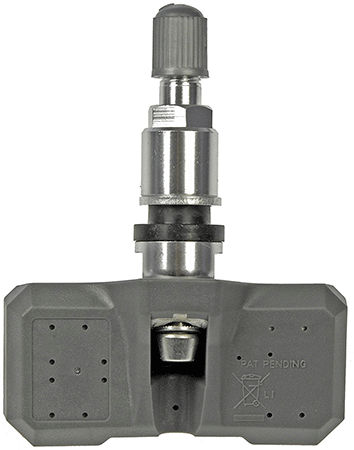 The STEELMATE Wireless TPMS is a user-friendly device that provides readouts in bar or psi. The replaceable battery can be used for up to a month. This TPMS has a large display, Intelligent Sleep Mode to help save power, and a tire pressure range of 20psi-50psi (1.7bar-3.5bar). 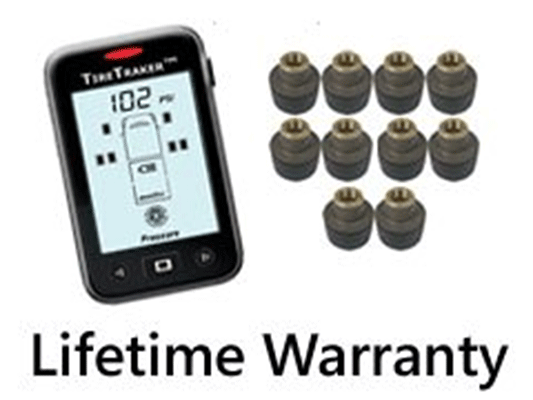 This transmitter-and-sensor TPMS has a valve stem sensor style and lifetime warranty from Dorman. It makes identifying problems and making repairs easy. This lightweight (0.3-ounce) TPMS comes with a nut and will fit a stock GM rim. It quickly goes through the vehicle learn sequence and provides an accurate reading.